Marije is an environmental economist and a Lecturer in the School of Geography and Environmental Science. She joined the University of Southampton in August 2014, after postdoctoral positions at the Universities of East Anglia and Cambridge. She is also a Research Fellow at CSERGE, University of East Anglia. Marije has a broad interest in sustainable development, with a focus on decision-making concerning environmental management and human development. She uses economic theory and methods and strongly engages in interdisciplinary research. Marije held an ESPA (Ecosystem Services and Poverty Alleviation) Early Career Research Fellowship, which focused on the suitability of climate smart agriculture in Malawi. Marije’s experience includes ecosystem services assessments (e.g. the UK National Ecosystem Assessment Follow-On and the Valuing the Arc project in Tanzania), and different methodologies for monetary and non-monetary valuation of ecosystem services. In Malawi, she has conducted choice experiments and multi-criteria analysis, both in individual and group settings. Marije is involved in several projects on the inclusion of an environmental dimension in multidimensional poverty indices, including a GCRF funded project “Developing an Environmentally-adjusted Index for Multidimensional Poverty”, an ESPA Blue Skies project “Ecosystem Services as a Missing Dimension of Poverty” and an ESPA Impact Acceleration Fund project, together with the University of Cambridge and UN Environment World Conservation Monitoring Centre. Marije investigates trade-offs in normative decision-making at multiple levels (macro, meso, micro) and the role of conservation and equity values (distributional preferences) in these decisions. 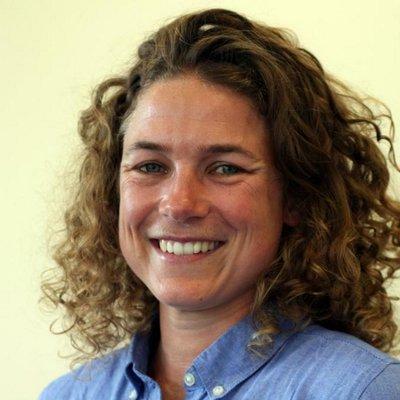 Marije is the thematic pathway coordinator of the Sustainability, Environment and Resilience pathway of the ESRC South Coast Doctoral Training Partnership (since February 2016). She is a Lead Author on the IPBES assessment on multiple values of nature. Burgess, N. D., Balmford, A., Platts, P., Schaafsma, M., & Doggart, N. (Eds.) (2014). Valuing the Arc. Special Edition of the Arc Journal. The Arc Journal, (29), 1-24. Schaafsma, M., Brouwer, R., Gilbert, A., Van den Bergh, J. C. J. M., & Wagtendonk, A. (2013). Estimation of distance-decay functions to account for substitution and spatial heterogeneity in stated preference research. Land Economics, 89(3), 514-537. Burgess, N. D., Abdallah, J., Lukumbuzya, K., Urock, J., Malugu, I., Sumbi, P., ... Makala, J. (2013). Trends in the production of charcoal and timber from Tanzania’s Coastal Forests. The Arc Journal Tanzania Forest Conservation Group Biannual Newsletter, (28), 25-30. Schaafsma, M., Brouwer, R., & Gilbert, A. (2010). Hedwige polder: publieke waardering van natuurontwikkeling in Zeeland. H2O, 43, 25-26. Schaafsma, M. (Accepted/In press). Spatial and geographic aspects of benefit transfer. In Benefit Transfer of Environmental and Resource Values: A Handbook for Researchers and Practitioners Springer. Schaafsma, M., Ferrini, S., Harwood, A., & Bateman, I. J. (Accepted/In press). The first UK National Ecosystem Assessment and beyond. In How Can an Ecosystems Services Approach Help Address Global Water Challenges? Cambridge University Press. Wichmann, S., Brander, L., Schafer, A., Schaafsma, M., Van Beukering, P., Tinch, D., & Bonn, A. (Accepted/In press). Valuing peatland ecosystem services. In Peatland Restoration for Ecosystem Services Cambridge University Press. Oosterhuis, F., & Schaafsma, M. (2011). Value added tax as an environmental policy instrument? In C. D. Soares, J. Milne, H. Ashiabor, K. Deketelaere, & L. Kreiser (Eds. ), Critical Issues in Environmental Taxation. Volume 8 Oxford, GB: Oxford University Press. Schaafsma, M., & Cranston, G. (2013). E.Valu.A.Te: the practical guide. (Natural Capital Leaders Platform). Cambridge, GB: Cambridge University Press. Schaafsma, M. (2012). Mapping NTFP collection in Tanzania: a comparison of surveys. (CSERGE Working Paper; No. 2012-05). Norwich, GB: University of East Anglia. Brouwer, R., Barton, D., Bateman, I. J., Brander, L., Georgiou, S., Martin-Ortega, J., ... Wagtendonk, A. (2009). Economic valuation of environmental and resource costs and benefits in the water framework directive: technical guidelines for practitioners. Amsterdam, NL: Institute for Environmental Studies, VU University. Kuik, O., Brander, L., & Schaafsma, M. (2006). Global benefits of Natura 2000 areas. Amsterdam, NL: Institute for Environmental Studies. Schaafsma, M., & Brouwer, R. (2006). Overview of existing guidelines and manuals for the economic valuation of environmental and resource costs and benefits. Amsterdam, NL: Institute for Environmental Studies. Schaafsma, M., & Bell, A. (2018). Scaling up climate smart agriculture: Lessons from ESPA research. ESPA. Turner, R. K., Schaafsma, M., Elliot, M., Burdon, D., Atkinson, J. K., Jickells, T., ... Andrews, J. (2014). Coastal and marine ecosystem services: principle and practice. Cambridge, GB: UK National Ecosystem Asessment.